“There’s a giraffe in there and a chair as well!” I’m rewriting the words to the Playschool song to match these adorable animal chairs. 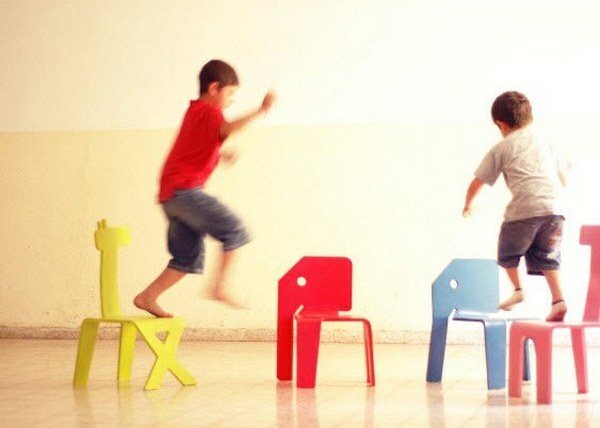 Designed by Elad Ozeri of the Pompel design studio located in Jerusalem, Israel, the Zelig Animal Chairs will look perfectly at home in any modern nursery. Simple and colourful, the sleek lines leave no doubt that you are sitting on a giraffe or an elephant. Unfortunately the Zelig chairs are a rare case of ‘lost-in-translation’ and I can’t find any online retailers. If you are desperate to add these animals to the nursery, contact the designer directly for more information.